Hackers know that traditional security solutions for mobile devices do not detect vulnerabilities in networks and operating systems. ZoneAlarm Mobile Security allows you to connect to public Wi-Fi networks without worries. You can also be sure that you haven’t downloaded any type of malware. Don’t let them take over your mobile life. Your personal information is yours and must remain only yours. Secure your device from fake Wi-Fi hotspots around you. We are the only ones to rank them for your comfort. Shop, bank, and enjoy your favorite social media while ensuring your credentials are not compromised. Block attempts to remotely seize control of your camera, mic, and more. Preserve your life’s most precious moments, photos, videos and messages. Get an alert if a malicious app has been downloaded, including ransomware. We protect your mobile device with the same level of security that we protect Fortune 500 companies. 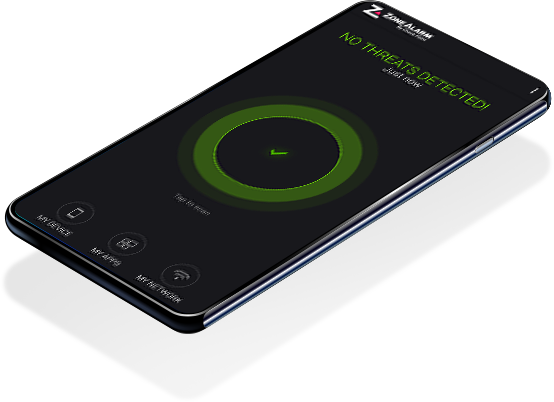 ZoneAlarm Mobile Security uses Check Point’s enterprise-grade technology to protect your personal smartphone or tablet from all kinds of cyber threats. "The best malware protection possible for mobile devices. There’s nothing else out there with multiple layers of protection. That’s peace of mind."